A dispute which arose prior to the enrollment of the respondent into the Armed Forces would not fall within the definition of the expression “service matters” under Section 3(o) because ex facie, the respondent is not a person who is subject to the Army Act 1950, the court said. 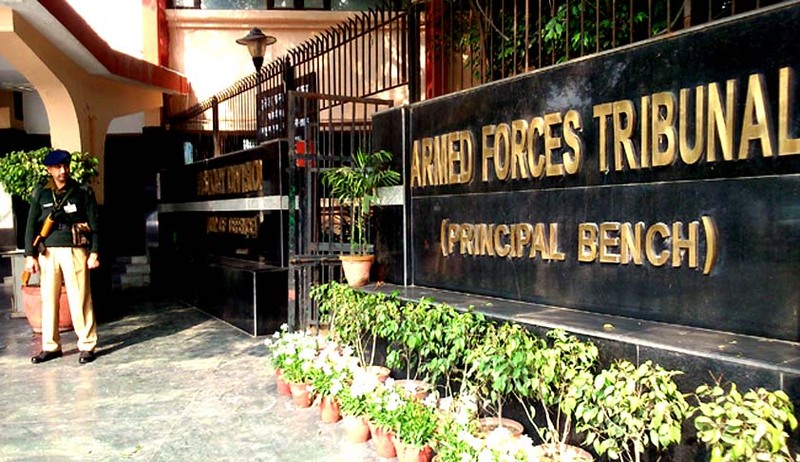 The High Court of Allahabad has held that the Armed Forces Tribunal has no jurisdiction over a dispute which arose prior to the enrollment of a person into the Armed Forces. The first bench comprising of the Chief Justice Dr. Dhananjaya Yeshwant Chandrachud and Justice Yashwant Varma, set aside the order of single bench who had allowed the proceedings to be transferred to Armed Forces Tribunal. The petitioner,had sought to question in the Writ petition, the decision by which he was declared unfit for enrollment in the Army recruitment on the ground that he did not meet the required medical standard. Single bench came to the conclusion that the writ petition raises a dispute which falls within the jurisdiction of the Armed Forces Tribunal and directed that the papers be transmitted to the Tribunal at Lucknow under the provisions of Section 34 of the Armed Forces Tribunal Act. The state preferred Writ appeal. The court observed that, in order for the Tribunal to have jurisdiction under Section 14, the dispute must relate to a service matter as defined in Section 3(o) of the Act and it must arise in relation to persons who are subject to the Army Act 1950, the Air Force Act 1950 or the Navy Act 1957. The court also took note of the fact that, relief sought is to provide him entry into the service of the Army and there is not even an averment to the effect that the petitioner was enrolled as a member of the Armed Force. The court also held that a dispute which arose prior to the enrollment of the respondent into the Armed Forces would not fall within the definition of the expression “service matters” under Section 3(o) because the petitioner in this case, is not a person who is subject to the Army Act 1950. The expression “their service” clearly means the conditions of service of persons subject to the Army Act 1950, the Navy Act 1957 and the Air Force Act 1950. Hence, it is only where a person is subject to one of these three legislations that a matter relating to the conditions of service would fall within the meaning of Section 3(o), the bench said. The Court also said that Section 34 would have no application in this case since the transfer of proceedings contemplated by that provision relates to those proceedings which are pending on the date of the establishment of the Tribunal.